No-one has ever lived in the past. No-one will ever live in the future. The present is the form of all life. 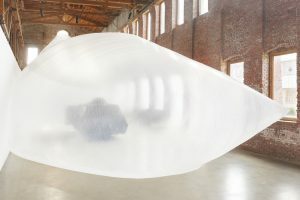 The Present Is the Form of All Life: The Time Capsules of Ant Farm and LST explores the time capsule projects of seminal media art and architecture group Ant Farm and their contemporary successors, LST. Tracing the time capsule’s evolution from analog archive to digital database, the exhibition examines the mutable nature of time perception, rapidly accelerating media obsolescence, and our shifting cultural attitudes toward preservation and privacy. 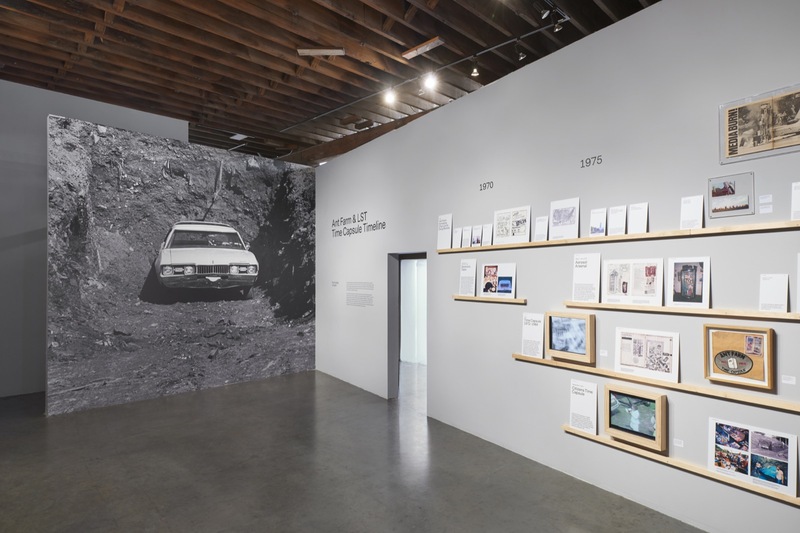 The exhibition opens with a chronology of materials representing the time capsule works and creative process of Ant Farm (1968-1978) and LST (2007-today), including never-before-seen schematics, extensive architectural drawings, photographs, video documentation, and more. As this presentation reveals, Ant Farm’s time capsules deviated from typical examples of the form: they did not preserve a stable cultural self-portrait that could persist through time. 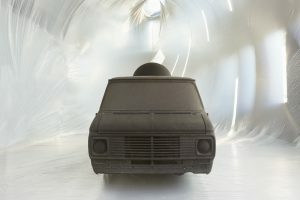 Rather, encased within everyday objects such as a refrigerator and a 1968 Oldsmobile Vista Cruiser (Citizens Time Capsule, 1975), they were defiantly homemade with little promise of endurance. 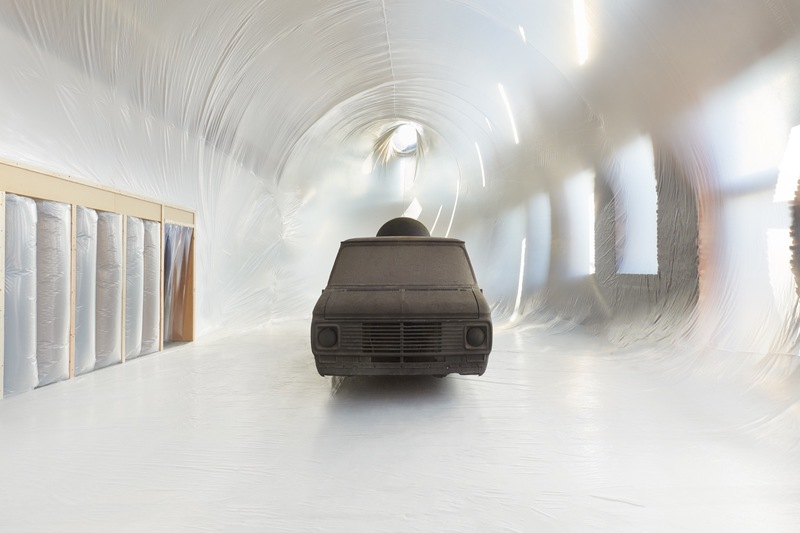 Whether destroyed, stolen, lost, or deemed “environmentally hazardous,” each work was a categorical failure, underscoring the humor and countercultural critique at the core of the Ant Farm and LST ethos. Filling the entirePioneer Works main exhibition space is a monumental inflatable structure custom-designed by LST that recalls Ant Farm’s radical architectural environments from the sixties and seventies. 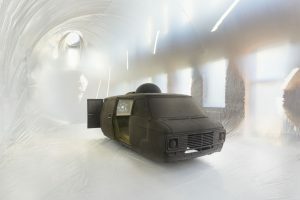 The transitory structure cocoons the exhibition’s main feature: Ant Farm Media Van v.08 [Time Capsule] (2008-2016), a contemporary interactive media sculpture and time capsule by LST that re-envisions Ant Farm’s historic 1971 Media Van. 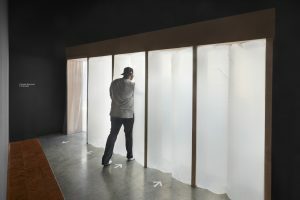 Within the contemporary version, a device called the HUQQUH, randomly downloads media files from participants’ smartphones throughout the duration of the exhibition. The compiled data creates a digital time capsule at Pioneer Works. Digital archives and the nature of time perception is further explored through Time Capsule Triptych (2009). This 18-foot-long work by LST consists of three parts: an installation of over 4,000 digital audio and visual files collected through the HUQQUH in 2008; a video documentation of the (fictional) reemergence of the original Media Van from a missile silo in California; and an architectural rendering of the future resting place of the contemporary media van / time capsule. 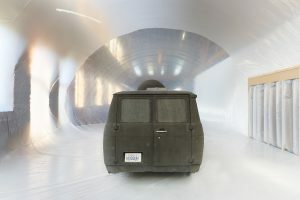 Together, the media within the triptych manifests a larger artistic fiction that attempts to document the past (discovery of the 1971 Media Van), frame the present (digital archive from the contemporary media van), and posit the future (the eventual site of the contemporary media van). 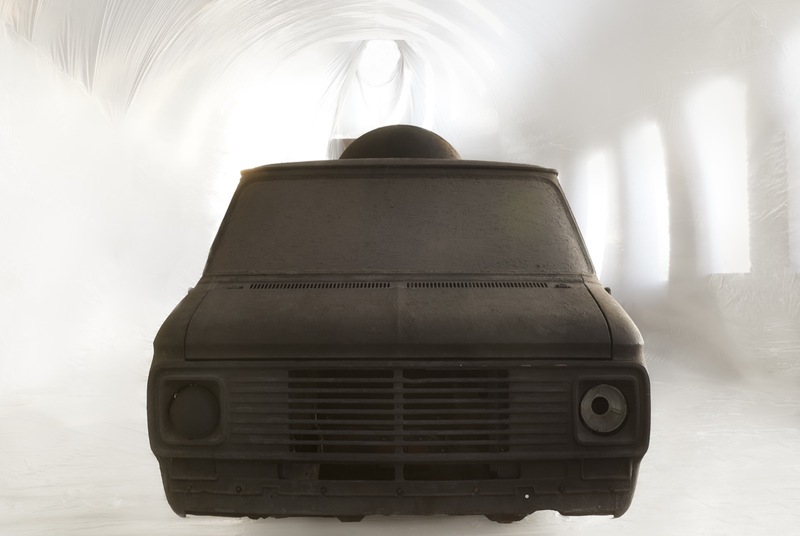 Over the course of five decades, and specifically through their time capsule works, Ant Farm and LST have routinely transcended disciplinary boundaries and, through experimentation, pioneered new artistic mediums. Through this exhibition, Pioneer Works celebrates and learns from those who established the practices and approaches that the organization strives to foster and emulate. 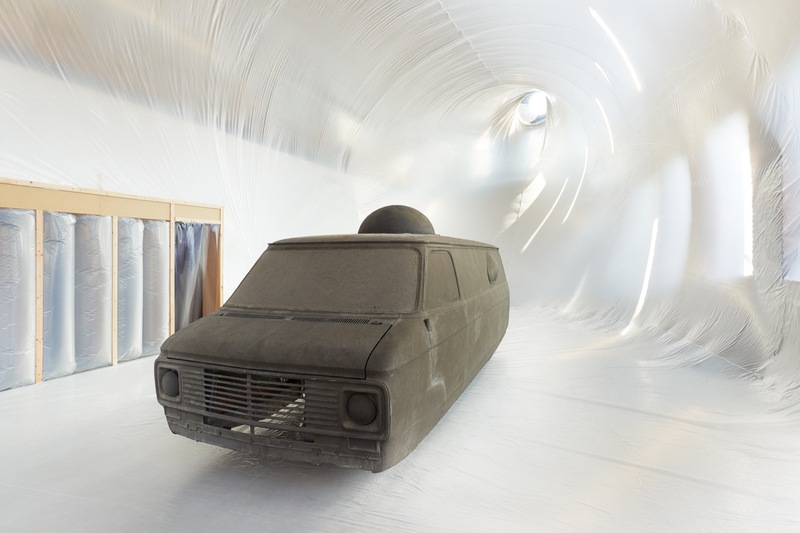 The exhibition is curated by Gabriel Florenz and Liz Flyntz and designed by LST. It is supported by an Art Works grant from the National Endowment for the Arts. 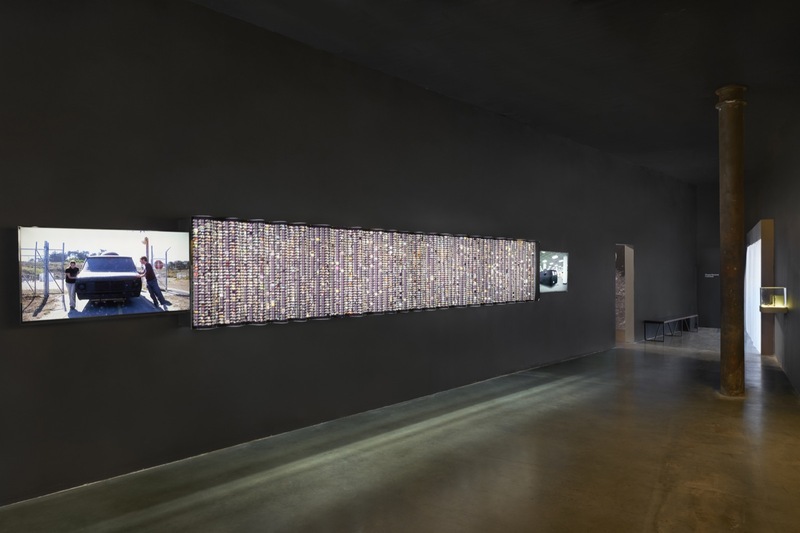 Research assistance and support was generously provided by the Berkeley Art Museum/Pacific Film Archive, Burchfield Penney Art Center, Artpark, and the New York Public Library. Ant Farm was a group of radical architects, designers, and media artists active from 1968-1978. Perhaps most well known for creating the iconic Cadillac Ranch and pulling off spectacular media events like Media Burn (1975), the group also created a variety of video works, popularized inflatable architecture, and produced participatory performances and a futuristic house in Texas (House of the Century, 1972). The core members — Chip Lord, Doug Michels, Hudson Marquez, and Curtis Schreier — sustained an interest in American cultural iconography, nomadic living, technology, and big cars over a ten year collaborative career. The group officially disbanded in 1978, following a devastating studio fire. Doug Michels, one of the original members of Ant Farm, died in 2003. LST is a contemporary group including Ant Farm members Chip Lord and Curtis Schreier joined by the artist and architect Bruce Tomb. 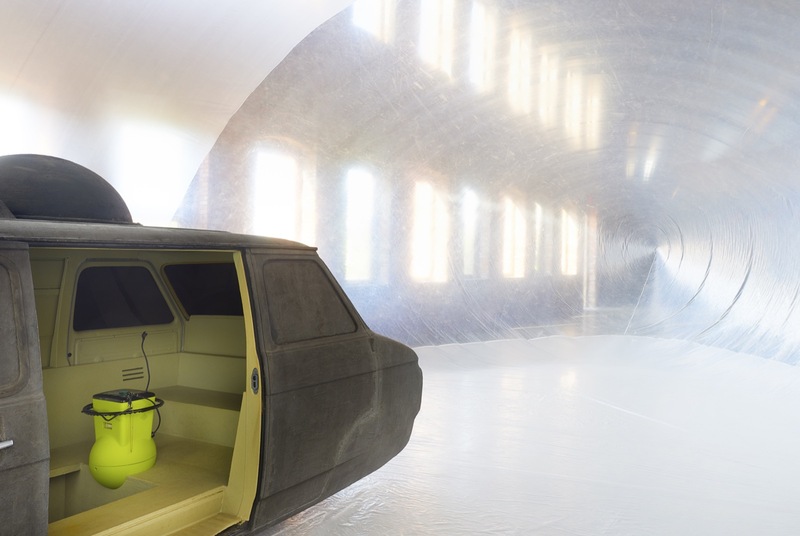 The contemporary group formed around the creation of the Ant Farm Media Van v.08 [Time Capsule], which contains the Media HUQQUH. 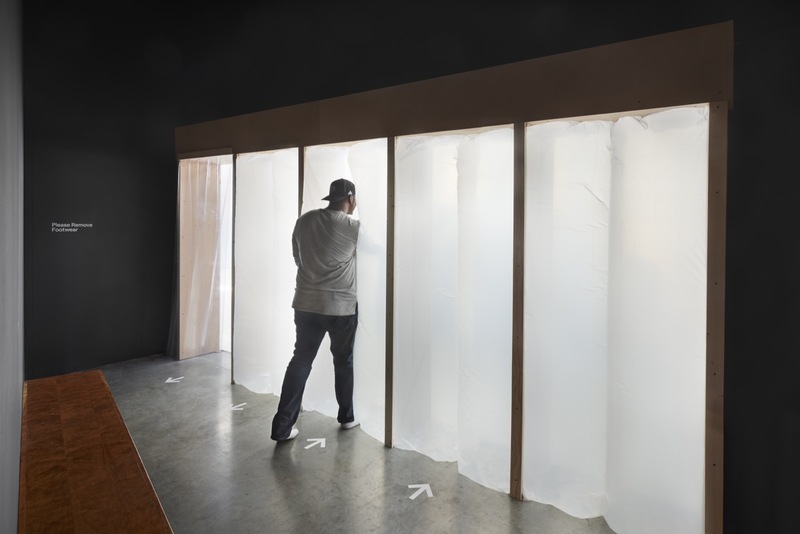 The HUQQUH is a digital media time capsule creation device which uploads files from participants. 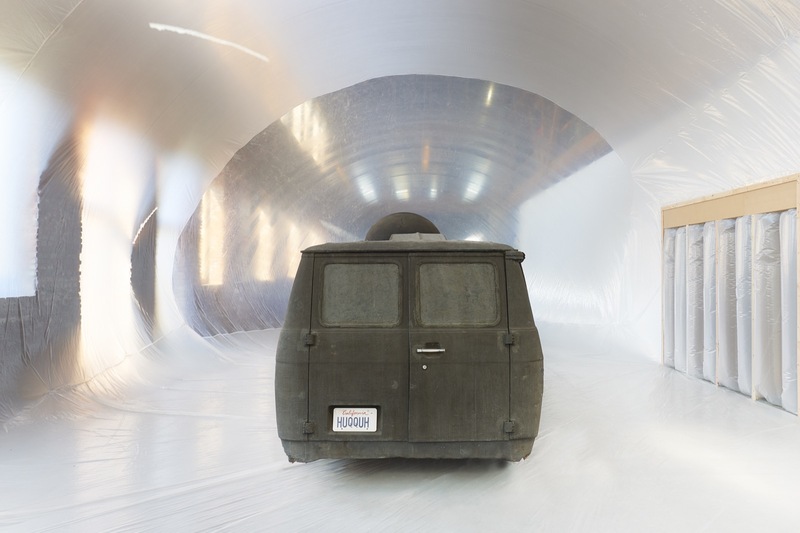 The first iteration of the Ant Farm Media Van v.08 [Time Capsule] was created for The Art of Participation: 1950 to Now, a 2008 exhibition at SFMOMA. 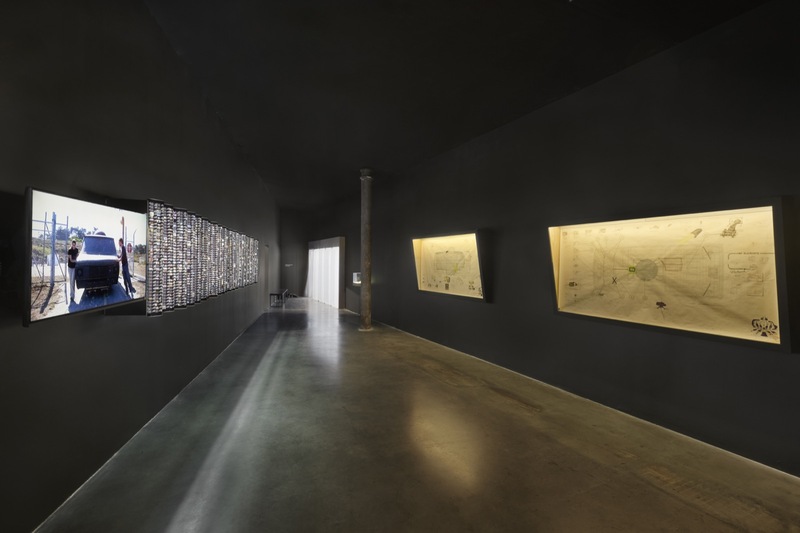 (which also holds a number of Ant Farm works in its collection). 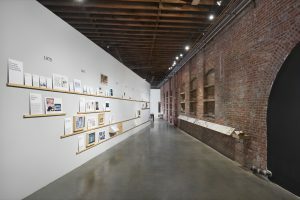 Clocktower Radio collaborates with the artists of LST on this exhibition at Pioneer Works with an audio guide. The guide, including archival content and contemporary interviews with the artists, is available at sound-capsule.org.